Huntersville, N.C. (January 20, 2017) – Joe Gibbs Racing (JGR) and driver Matt Tifft will continue their partnership during the 2017 NASCAR XFINITY Series season with Tunity, a cutting-edge mobile application that offers race fans superior experience when watching their favorite drivers, especially out of home. As primary sponsor of the No. 19 NASCAR XFINITY Series team and Tifft for the season opener at Daytona (Fla.) International Speedway, Tunity affords fans the ability to scan any muted TV and stream its audio directly to their personal devices. Tifft, a young driver who understands the importance of digital media in today’s landscape, appreciates the opportunity ahead. As JGR’s only full-time driver in the XFINITY Series this season, Tifft will compete for the Sunoco Rookie of the Year and the XFINITY Series Driver’s Championship Awards. Tunity will continue as an associate partner all season on the No. 19 and again in a primary sponsorship role in additional 2017 XFINITY Series events, to be named later. Joe Gibbs Racing has a rich history in the XFINITY Series accumulating 131 wins over 18 years that the program has existed. This past season was one of the best in the team’s history recording 19 wins achieved with drivers Erik Jones, Kyle Busch, Sam Hornish Jr., Denny Hamlin and Daniel Suarez, who won the XFINITY Series Championship with the No. 19 Toyota team at Homestead-Miami (Fla.) Speedway last November. The 20-year old Ohio native has 36-career starts in NASCAR’s top racing series over the last two seasons, while running a limited schedule in both the XFINITY Series and in the NASCAR Camping World Truck Series. Despite a three-month hiatus after rehabilitation from a low-grade glioma that was removed from his brain in July of 2016, Tifft earned one top-five and 6 top-ten finishes through his ten completed races with Joe Gibbs Racing. The top-five finish at Kentucky Speedway in Sparta last fall was significant, earned in the first race back after his brain tumor experience. “It’s always been a dream of mine to compete full time in NASCAR, so the chance to drive for the best team in the industry and coming off the No. 19’s championship run is pretty cool. Already Beckman (Matt) and I have gone to work and I’m really looking forward to getting started this year. I think it’ll be an incredible opportunity and I can’t wait to get rolling,” said an eager Tifft. Returning with Tifft in his full-season effort is sponsor partner Tunity, who lent support for the young rookie in 2016. “The team at Tunity is proud to stand behind Matt and the now No. 19 Tunity Toyota. Matt has proven his mental and physical strength time and time again and we are positive he will make us proud this season. Matt will surely create amazing and memorable moments for all NASCAR racing fans and we at Tunity hope to help by letting any fan hear the race while in front of a muted TV- in a bar, restaurant, at the gym or the airport,” remarked an excited Yaniv Davidson, Chief Executive Office of Tunity. Growing brands Surface Sunscreen and BrainGear will also be full season partners with Tifft on the No. 19 Toyota Camry in associate sponsorship roles at Daytona International Speedway and in No. 19 primary sponsorship roles with marketing programs to be announced at a later date. The three Tifft partners will be used in different capacities throughout the XFINITY Series year in support of the young driver’s quest for a NASCAR XFINITY Series championship in his first full-season venture. 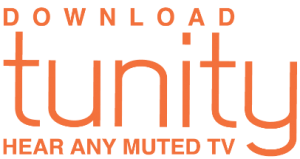 Tunity is a free app that allows users to hear any muted TV’s live audio feed, directly on their mobile devices (iOS and Android). With development of a Computer Vision algorithm, Tunity lets users simply scan the TV, and then the app detects the channel and streams the audio to the user’s mobile device. Users can hear the audio through their headphones or Bluetooth speaker. Tunity supports over 100 channels in the US including most NASCAR races. Founded in 2012, it has always been the mission of Surface Products to provide high quality sun-care and skin-care products to the fans of the outdoors. We understand your need for unique products at different times so we design purpose built products in groups to help you decide the exact product that is right for you. We make products that reflect who you are and work with the lifestyle you live. For more info visit www.surfacecorp.com and follow @surfaceproducts on Instagram and Facebook. BrainGear is the brain performance formula developed by top neurologists and industry experts that provides immediate focus, clarity and concentration while optimizing brain health and performance over time. What initially began as a brain performance formula for athletes, has now become the go-to for people who are full of relentless drive and devotion dedicated to performing at their best. BrainGear’s 4.5 oz. pineapple-mango formula was developed for optimum absorption and maximum efficacy. Immediate benefits you can feel – long-term brain health benefits you can feel good about. #AccessMore information @BrainGear on Facebook (www.facebook.com/braingear), Instagram (www.instagram.com/braingear), Twitter (www.twitter.com/braingear) and available at www.braingear.me. Joe Gibbs Racing (JGR) is one of the premier organizations in NASCAR with four NASCAR Sprint Cup Series teams, three NASCAR XFINITY Series teams and a driver development program. Its 2017 driver lineup will consist of Denny Hamlin, Kyle Busch, Matt Kenseth, and Daniel Suárez in the Monster Energy NASCAR Cup Series. Meanwhile Matt Tifft will run fulltime in the NASCAR XFINITY Series, joining Kyle Busch, Erik Jones, and Daniel Suárez who will all run partial schedules. In addition, Cody Coughlin is currently in JGR’s driver development program. Based in Huntersville, N.C., and owned by Joe Gibbs — a three-time Super Bowl winner as head coach of the Washington Redskins and a member of the Pro Football Hall of Fame — JGR has competed in NASCAR since 1992, winning four Cup Series championships, and four Nationwide Series owner’s championships along with more than 270 NASCAR races, including four Brickyard 400s and two Daytona 500s.